I am reviewing a fiction title for the first time in many years. The Baggage Handler actually released a few weeks ago. I had read the book in February — on an airplane appropriately — but never wrote anything at the time because it wasn’t releasing until March 26th. Then, that date simply flew by unnoticed. The premise: Michael, David and Gillian all pass through the airport on the same day and no, they don’t end up with each other’s luggage. But there is a luggage mix-up to be sure, with varying degrees of consequences. There is a baggage handler, who seems to work two locations at once; the airport itself and the downtown lost-luggage facility. And the key to the story is in that word baggage. 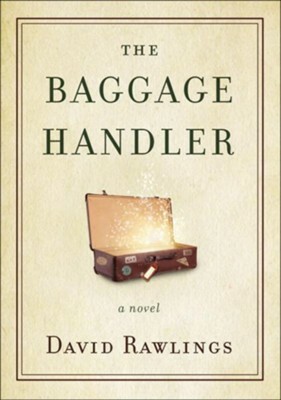 Don’t think luggage or suitcases, rather this is all about the metaphorical baggage we all carry around, a moment of discovery for all three characters in the story when they try to retrieve their belongings. It must be said that both the cover design and the decision to release the first edition in hardcover leaves the book bearing a striking similarity to similar titles by David Gregory; Dinner with a Perfect Stranger, A Day with a Perfect Stranger, etc. These titles, as well as similar ones by Andy Andrews, ask us to temporarily suspend belief as to plausibility and accept certain plot contrivances in order to learn a greater lesson. Bouncing back and forth between the three central characters means the book moves along at good pace, and for those who want to “dive deeper” in a book club setting or even on a personal level, there is a short collection of discussion questions breaking the book into five sections. My personal disappointment with the book was that as a longtime reader of Christian books in general, I kept waiting for God to show up. Somewhere. On a single page, perhaps. After all, Thomas Nelson put their imprint on it. There’s no real definition for what makes Christian fiction and I suppose that on the spectrum of books that preach and books ‘written from a Christian perspective;’ this one is in the latter category. At least I hope so. On the other hand, as someone with much exposure to both Andy Andrews and David Gregory, I see the value in this novel, and already recommended it to someone. We all have things in our past we need to deal with. At the time of its original release, I said the name, “NIV Zondervan Study Bible” would be too easily confused with the flagship “NIV Study Bible.” Time and the marketplace proved this correct. 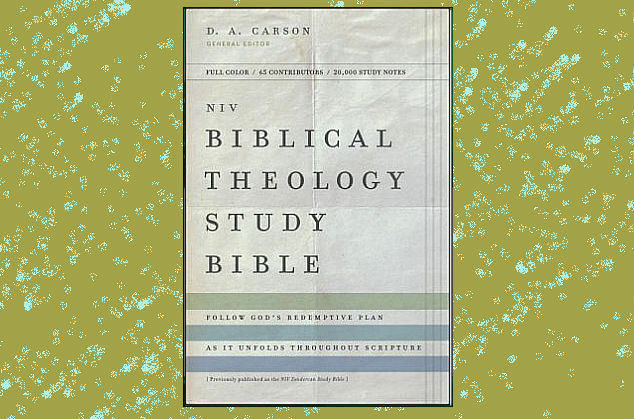 They also moved D. A. Carson’s name to the top which is both in keeping with what is seen on academic books in a series, and also creates resonance for the all important Reformed/Calvinist market, which Zondervan would love to lure from the ESV back to NIV. The other bonus was that with comfort print, people who formerly needed large print can get away with the regular edition. The large print version of the older title was simply huge. So they’ve effective killed two birds with one stone. The original advertising from a few years ago highlights many of the Reformed/Calvinist contributors. I’m sure they would argue this isn’t, strictly speaking, a Reformed product. Font Size – To meet expectations, “large” should be at least 10.0 point and “giant” should be at least 12.0 point; but the key phrase here is “at least.” Ideally, I’d like to see “large” at about 11.5 and “giant” at about 14.0.” Also, generally speaking large print books are much more generous in font size — as well as the other four factors listed below — than large print Bibles. Some readers who have purchased large print books before question the application of the term when it’s applied to Bibles with smaller fonts. If you’re in a store and they have a font size guide posted, that gives you the language to express what you’re looking for, but don’t go by online guides, as they are sized at the whim of your monitor settings. Typeface – This consideration is the basis of Zondervan and Thomas Nelson’s move — started last year and continuing throughout 2018 — to “Comfort Print” on all their Bible editions. Some typefaces are simply fatter than others. Personally, I like the clean look of a sans serif font (think Arial/Helvetica) such as Zondervan was using on its Textbook Bibles. But others like the look of a serif font (think Times New Roman) instead. But Comfort Print is a great innovation and I find when it’s available that people who think they need large print don’t, and other who think they might need giant print (with other publishers) can work with Comfort Print’s large print. You can think of this in terms of the difference between regular and bold face. • 28 theological articles by authors such as Tim Keller and Kevin DeYoung; over 60 contributors. Note: This is a news article. Zondervan didn’t supply a review copy — I already have the original which I traded for the large print I desired — and did not sponsor this blog article. When my Saturday edition of The Toronto Star arrives, I always make a point of checking their bestseller lists, not because I’m necessarily familiar with (or even interested) in the books named there, but because I’m a book guy who has a nerd-like interest to see how the major publishing houses are faring. This time around, a Thomas Nelson title, released in February caught my eye. 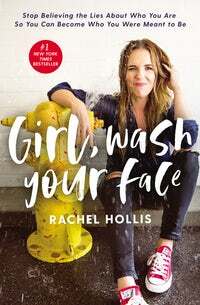 The book is Girl, Wash Your Face: Stop Believing the Lies About Who You Are So You Can Become Who You Were Meant to Be by Rachel Hollis which was #3 on the Self-Help list for Canadian sales. I knew the book had been doing well, but I was surprised to see it on a list for that country. I could probably give you a number of reasons why Brant Hansen shouldn’t have a book with W Publishing, an imprint of Thomas Nelson, let alone two books.1 He’s not a pastor. Not a professor. Not someone who’s made it in the field of sports or business or entertainment and coincidentally happens to be a Christian. That’s it. But Blessed are the Misfits, his second major book release confirms what listeners to The Brant Hansen Show2 and The Brant and Sherri Oddcast podcast3 have known all along: There’s a heck a lot of us out there who feel we just don’t fit in. The subtitle of the book — which appears above the title, meaning it’s actually a surtitle4 — is Great News for Believers Who are Introverts, Spiritual Strugglers, or Just Feel Like They’re Missing Something.5 Insert deep breath here. Brant’s life story would make a book like this interesting enough; but the fact he also does the requisite research, includes Bible quotations and writes well simply adds to the appeal. As I wrapped up the final pages of the book, I thought of a song recorded eons ago by The Altar Boys, a Christian band. You are loved, You are loved. Have you ever been to a concert only to find out that the performer is also an official representative of Compassion, Inc., or some other similar charity and you feel like you’ve been ambushed somehow?10 Brant is actually a spokesperson for CURE International; which means there are frequent references to CURE hospitals doing amazing things for kids whose situations looked hopeless. Personally, I like my books to be books and my charity appeals to be charity appeals; but trust me, you wouldn’t want this book without the CURE stories.11 They are a part of who Brant is, and therefore they deserve the space they get to act as mind-stretching illustrations of the points made in various chapters. The solution to the problem? This is important because Brant is not speaking to solutions here so much as he’s saying to his fellow-misfits, “You’re not alone.” His personal revelations of classic awkwardness aren’t enumerated here as self-deprecation, but rather I see Brant in the pages of this book as a positive role model for people who feel they just don’t fit. There is very wide swath of people covered in this book. He comes alongside people who are hurting. We need to remember that Jesus was a misfit, too. 1 Click here for my review of Unoffendable, click here for a sample segment. 2 Link to Brant’s website. The show may have a different music mix in different markets. 3 Specific link to the podcast. Warning: Sherri’s laughter is infectious. 4 This is the type of distraction Brant lives for. 5 Spellcheck wants to change Strugglers to Stragglers which might work as well. 6 As true as this is, the part about “listener uniforms” should be taken with a grain of salt. 7 Listen to the song at this link. 9 The title of this review, We Have Met the Misfits and They is Us is a reference to the Pogo comic strip. 10 Like that time you’re friend invited you over for the evening, and it was actually an Amway meeting. 13 There is no corresponding sentence to this footnote. Brant actually only uses one footnote in the book and then in typical ADD fashion, abandons the form. Thanks to Kimberley at HarperCollins Christian Publishing for an advance copy of Brant Hansen’s book. By the way, does anyone else think it strange that an introvert wants to go on tour where everybody will be looking at him? As reported on various websites yesterday, Pete Wilson resigned on the weekend from Cross Point, the Nashville church he founded in 2003. 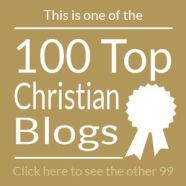 Part of the reason you’re reading this today is because in late 2007, I decided I wanted to get closer to a fraternity of writers, pastors and Christian leaders that were doing this “blogging” thing. One of them was Pete. I began watching Cross Point services, and made a point to get my hands on review copies of his books, Plan B, Empty Promises, and Let Hope In. It was through him that I met Justin and Tricia Davis, whose Eight Things That Destroyed Our Marriage is the all-time most visited page here at Thinking Out Loud. Brandi and the boys — Jett, Gage and Brewer — were like family. The thing that impresses me most about Pete is his raw transparency. So for him to step down now is a bit of surprise, but not out of character. The word sincere comes from the Latin sine cera, which means ‘without wax.’ The phrase comes from a practice where people would hide the cracks in cheap pottery with wax in order to pass the pottery off as being worth more than it actually was. Quality products were often stamped with sine cera to show that it had not been doctored, that it was authentic. To repeat, this kind of transparency is Pete Wilson. I’ve loved tracking with his ministry and believe that we will cross paths again…. …We’ve run this a few times here, but it seems timely to do so again. I know this is Pete’s wish for his church… and yours. Worship Leaders, I pray you’ll lead worship with the same awe and amazement as if you just watched the stone roll away. Whether you have lights or no lights, production or no production may they see the wonder and awe in your eyes and voice that you actually believe what it is you’re singing. I pray [each] weekend we’ll all drop our cynicism, egos, and agendas and will stand amazed and marvel at the wonder of a God who has set us free from the penalty and the power of sin! Watch Pete’s announcement to his church on this 9-minute video at Relevant. Though I’d heard this story before, I was struck by the story he tells at 00:45 to 3:22. A bittersweet motivation to start something new. A few weeks ago we reviewed a book by Brian Stiller, Praying for the World, in which the author provides a wealth of information about world conditions based on his extensive travel and interaction as a former Director of Youth for Christ Canada, former President of the Evangelical Fellowship of Canada, former President of Tyndale College and Seminary, and now Global Ambassador for the World Evangelical Alliance. Brian is actually at the center of another recently-released project, this one also global in its perspective and one which also deserves to be in every church library and on several coffee tables as well. He serves as general editor for Evangelicals Around the World: A Global Handbook for the 21st Century (Thomas Nelson, 2015), a collection of over 50 essays and reports from almost as many different writers, each with a particular expertise on their given topic. I’m not sure who it was, but about five years ago, I read a blogger making the point that we need to make a stylistic change from small-e evangelical to capital-E Evangelical. Of course, Evangelicals came of age long before that. Most people reference Jimmy Carter, the born again President, and of course the birth of Billy Graham’s ministry. But in the book, the roots of Evangelicalism are traced back to 1521, followed by an exhaustive history of the contributing streams to the movement from the 1700s to the present. There is a chapter defining the core beliefs of Evangelicals, their commitment to world missions, their interactions with other denominations and religions, their role in urban ministry, their involvement in politics, their approach to environmental issues, their sensitivities on gender-related issues, their relationship to the similar-sounding word evangelism, and a chapter I personally found interesting, their appreciation of and contribution to the arts. The authors of each section also include a well-chosen bibliography for those who wish to pursue any given topic. Halfway through, the book’s focus becomes regional with a look at Evangelicals in Africa, Latin America, North America, Asia, Europe and Oceania. While the articles about these regions continue the detail of the earlier articles, there is the addition of demographic charts which help paint a clear picture of where Evangelicals rank in different countries, both among Christians in general, but also the general populace. Particularly challenging is an article on the future of the Evangelical movement, how it will be identified and the type of people who will define its ranks; though that essay needs to be qualified in light of the regional analyses. Evangelicals Around the World is a hardcover reference book; 422 pages, $34.99 US; but its topical scope exceeds the bounds of academic textbooks. Rather, if you are part of the movement and want to know your roots; or if you are an outsider who wants to learn more about this particular expression of Christianity; this is certainly the definitive work on this subject worth owning. Postscript: In this review I speak about their role and their perspective, but this is the tribe with which I identify. After a many years of working in interdenominational settings and trying to be all things to all people; today, when the declaration that “I am a Christ-follower” fails to suffice, I am pleased to say that “I am an Evangelical” and have identified this way decisively for more than 20 years. I did not receive a review copy of this, but sought the book out because I wanted to study it personally and look at it more closely. Louie Giglio is probably a name better known to people who are under a certain age. The founder of the Passion Conferences is also the founder of Six Steps records and Passion City Church in Atlanta. 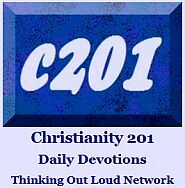 In its various forms, his Laminin video has been viewed several million times on YouTube. The Comeback: It’s Not Too Late and You’re Never Too Far (Thomas Nelson, 2015) is, at least my opinion, positioned to become Giglio’s bestselling book to date. The topic is certainly relevant to anyone who has ever been knocked down, beaten up, rejected, or alienated. The book weaves autobiographical snapshots from the author’s life with contemporary stories and familiar Old and New Testament narratives. 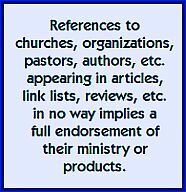 The writing style is very similar to other authors we frequently review here: Kyle Idleman, Pete Wilson, Mark Batterson, etc. and the genre probably owes a lot to Max Lucado. 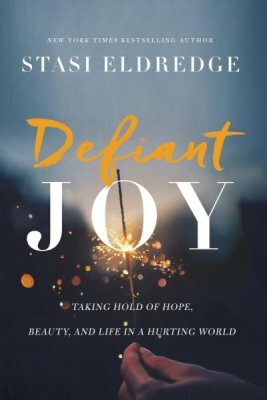 This is a very well-crafted book with generous helpings of scripture stories for people needing encouragement for people celebrating a fresh start, people needing a comeback in their future, and people for whom the reality exists that a comeback is simply impossible. Look for Comeback in the bright orange wrapper wherever you buy books! I’m not a huge fan of plot contrivances in fiction, or some types of literary devices in non-fiction, so when it became apparent that Lisa Harper’s commentary on the Book of Acts was using the story of the adoption of her daughter as a motif, I was a little skeptical. 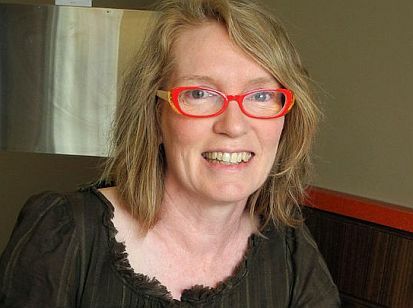 But in fact, author Lisa Harper really had won me over by the second chapter. Believing Jesus: A Journey Through the Book of Acts is for certain a book about the fifth book in the New Testament, but it’s a different kind of approach, and if you can buy in to its premise, you will enjoy this immensely. So Peter, Phillip and Paul share the spotlight with Missy, a little HIV-positive girl from Haiti who has rocked the author’s world. Granted, I’m not a frequent reader of women’s interest titles, but this is a story that offers surprises at every chapter. Not knowing much of the Women of Faith speakers, apparently this several-years-long adoption process resulted in Harper, who has reached the half-century mark in life, becoming a single mom. She’s very candid about the challenges that brings. All of which to say that with Believing Jesus we have something that you could give to that woman in your church or small group that perhaps has never read a Christian book before. Maybe even one who hasn’t yet crossed the line of faith. With its Facebook and Instagram pictures of the journey from Haitian orphanage to America, it’s also a great gift to a woman who has become a new parent through adoption, a single parent, or someone who has had a child later in life.